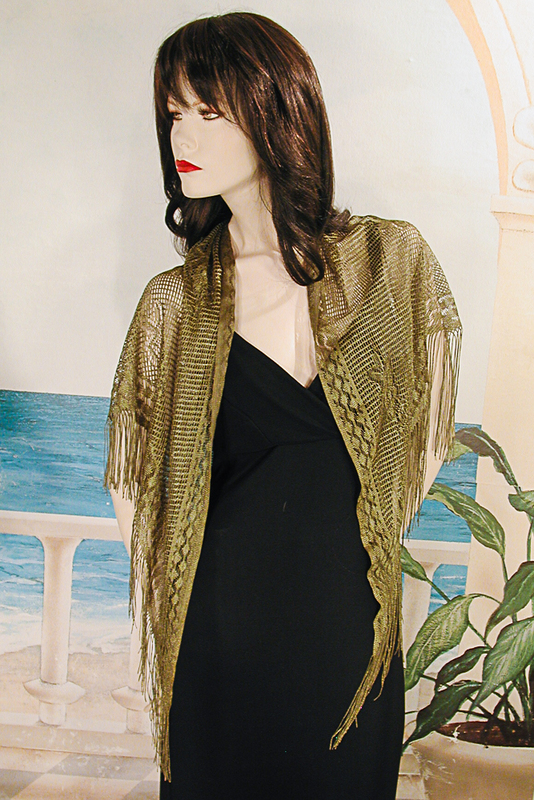 Sheer Lace Floral Shawl with Fringe Trim for Day or Evening Lace shawl with floral design and fringe around edge. A beautiful wrap for evening or day wear. It has a sheer floral design with a large flower on the back and smaller flowers throughout rest of the shawl. The edges are finished with a similar design. It is sheer with a little sheen. Lace evening wraps work well in any season and this is no exception. Color: avocado Hue: Code: #557527.